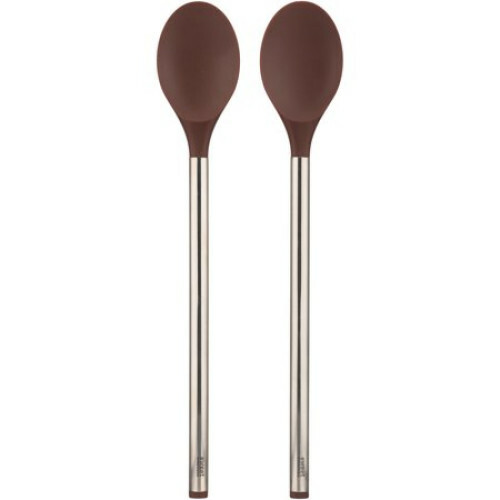 Just when you thought you had everything you needed in the kitchen, The Sweet Creations high temp mixing spoons came along. They are a simple but handy little tool that works in every kitchen. The stainless steel handle with nylon head brings elegance and durability together in one sophisticated product. These mixing spoons are heat safe to 400 Fahrenheit. 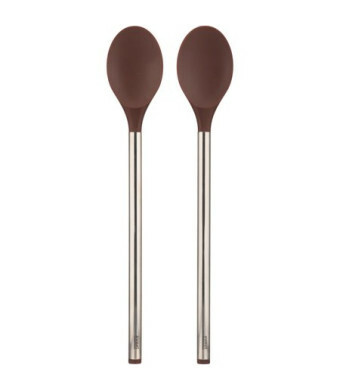 This set includes 2 mixing spoons that are dishwasher safe and BPA free.